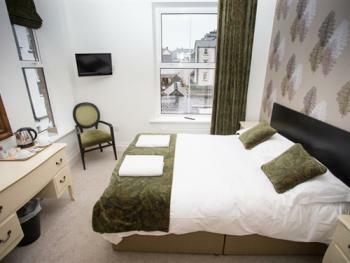 All rooms have flat screen TV (most with DVD), coffee and tea making facilities, en-suite shower room, pocket-sprung beds, and fine linen. 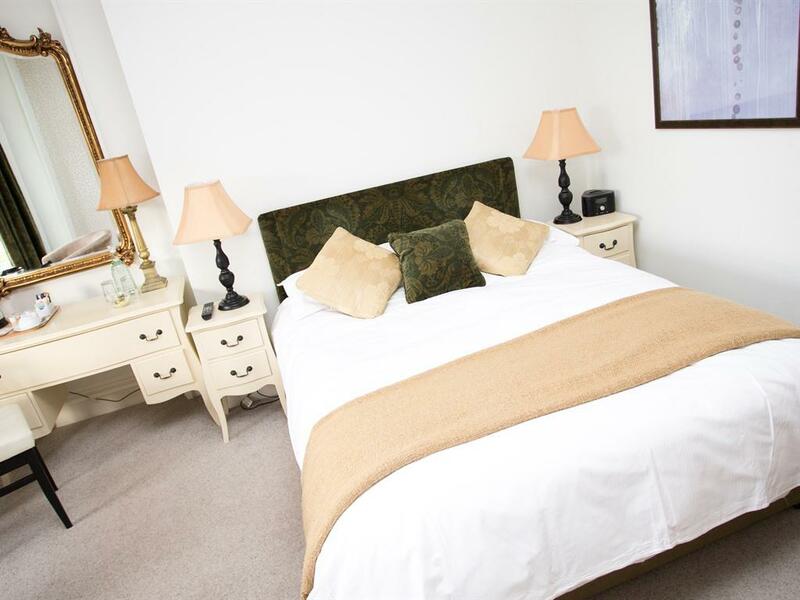 All the rooms at Lakeside House have been completely restored and refurnished and all the ensuite facilities are new. 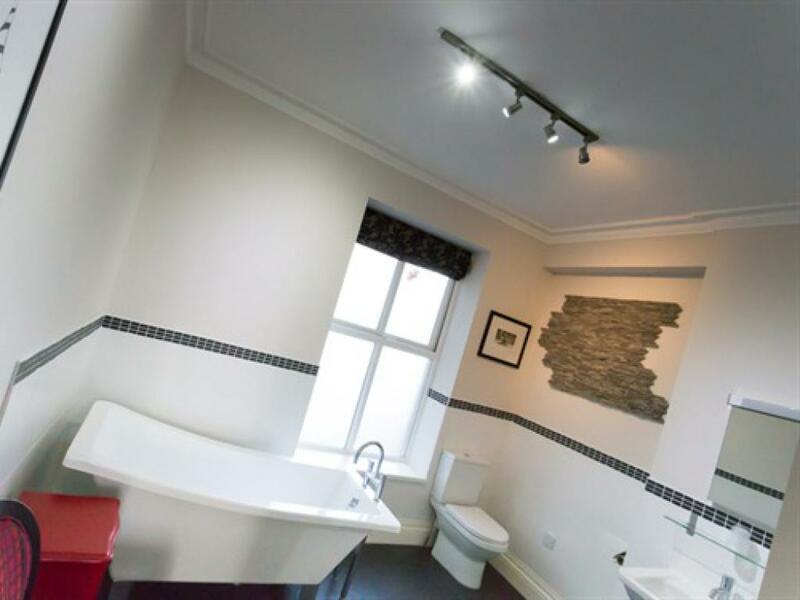 Many of the House's original features, such as the lovely central staircase, ornate ceiling mouldings and corbels have been retained and restored. 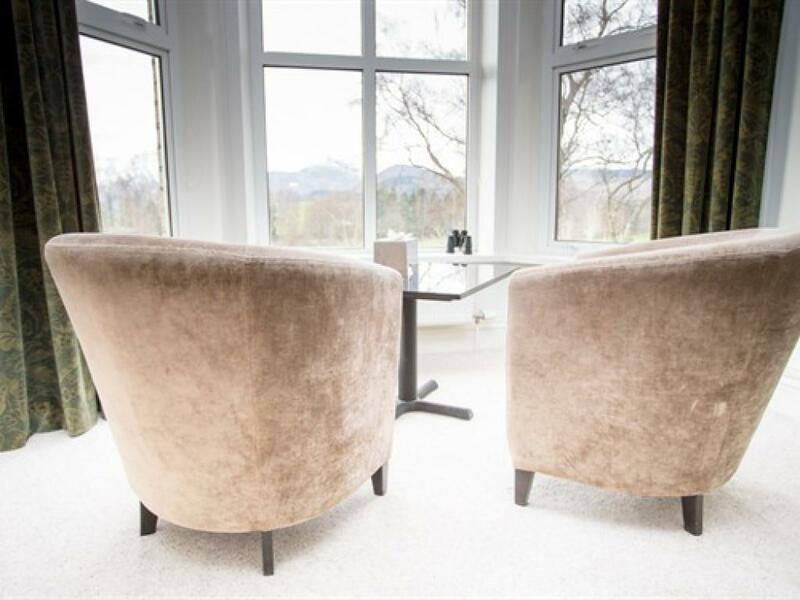 Lakeside House has been re-furnished with great care - the reception rooms and bedrooms blend bold modern furniture with soft tones and luxury textiles from leading interior companies, including GJ&P Baker, Romo and Designers Guild, to create stylish, contemporary comfort. 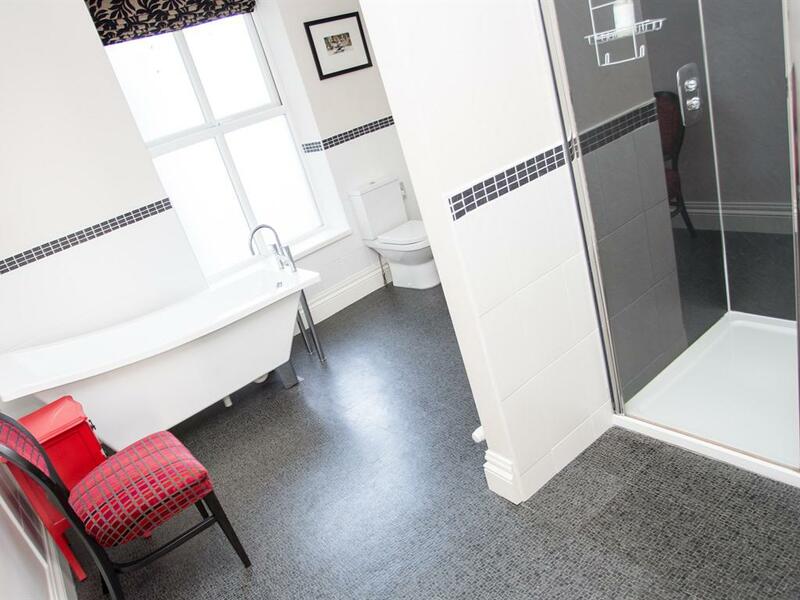 Guests have full access to the Boot & Drying Room and the Fitness Room. 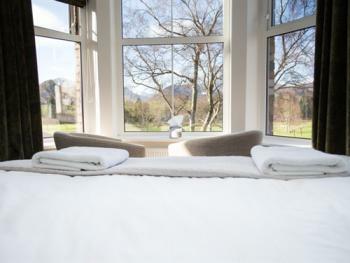 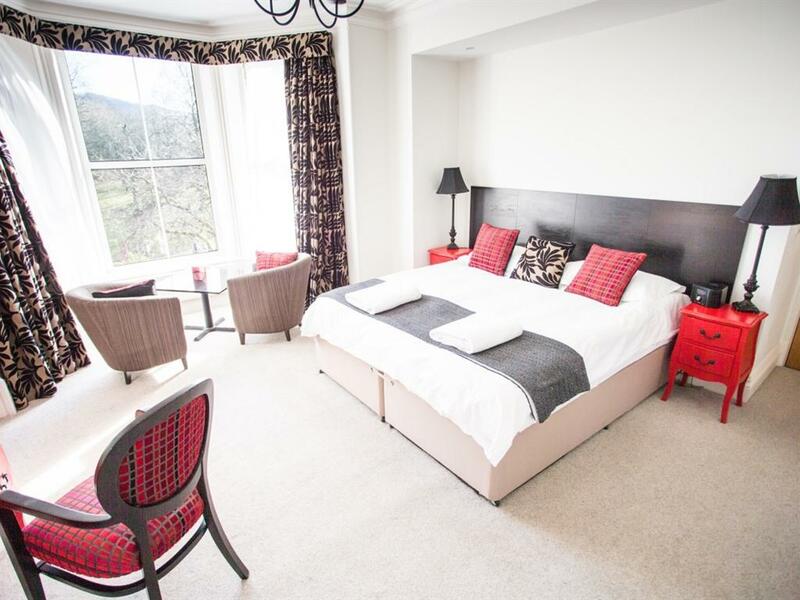 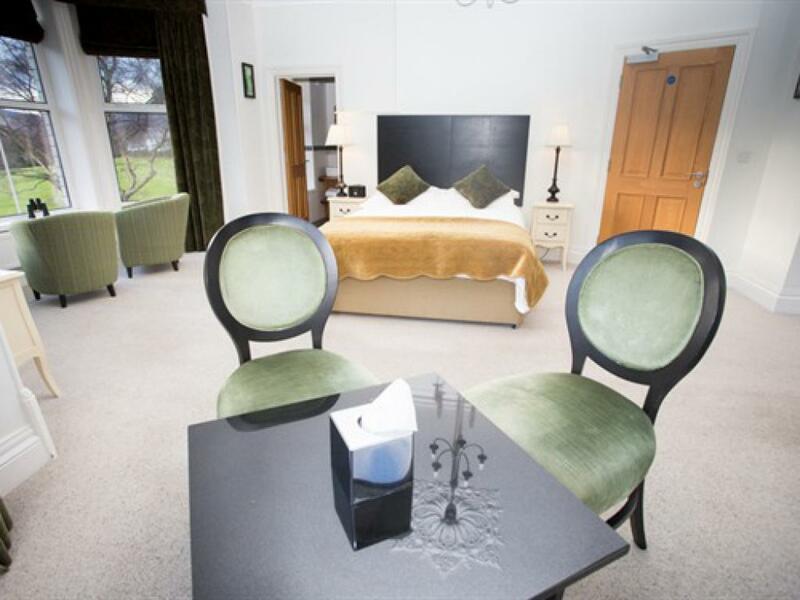 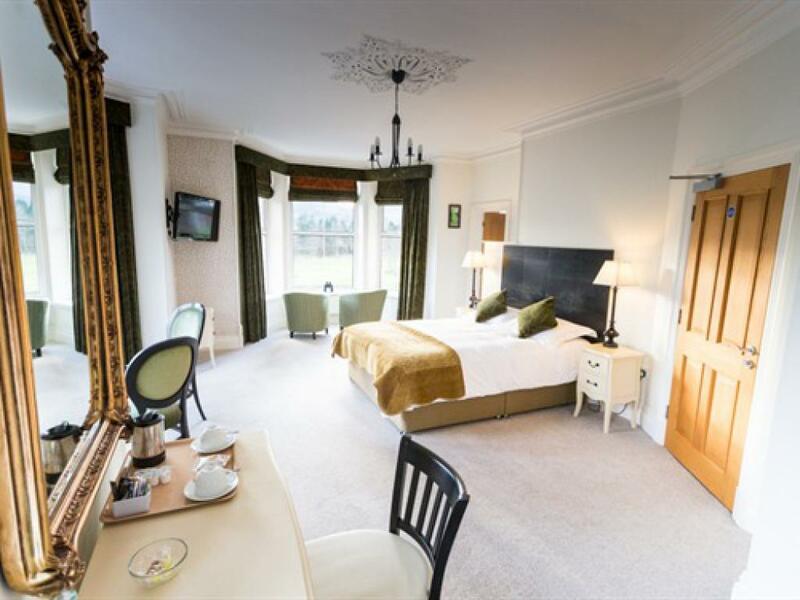 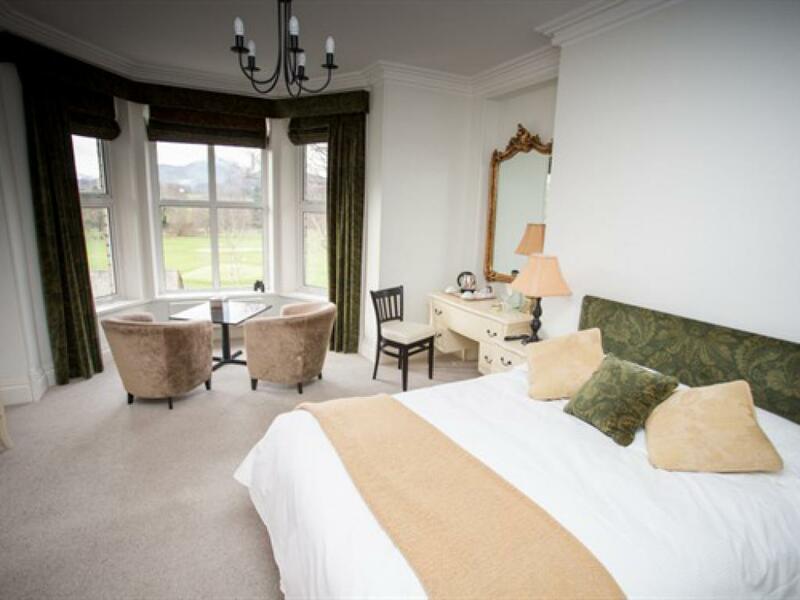 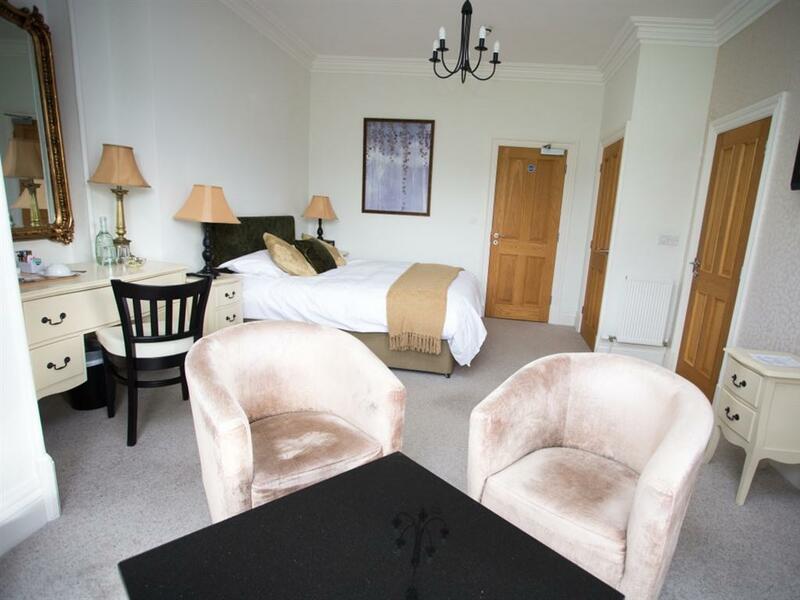 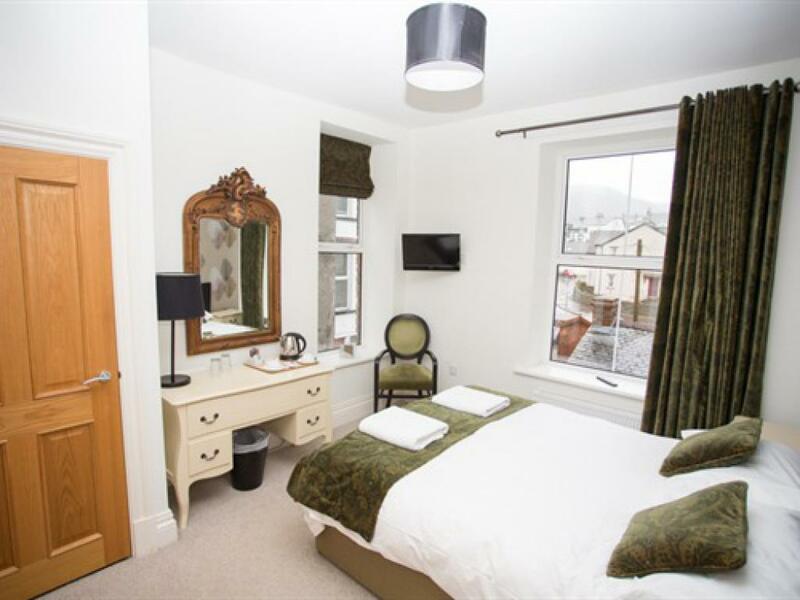 Room 3 is situated at the front of the building and is a large 1st floor double room with a large bay windows giving spectacular views across Hope Park and to the fells beyond. 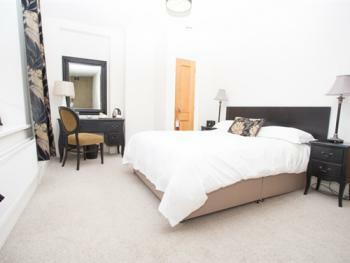 Furnished to a high standard with comfortable 5-star pocket sprung king size bed with feather duvets and pillows, a built-in wardrobe with ample storage, coffee/tea making facilities, 32" flat-screen TV and stylish contemporary designed en suite with shower. 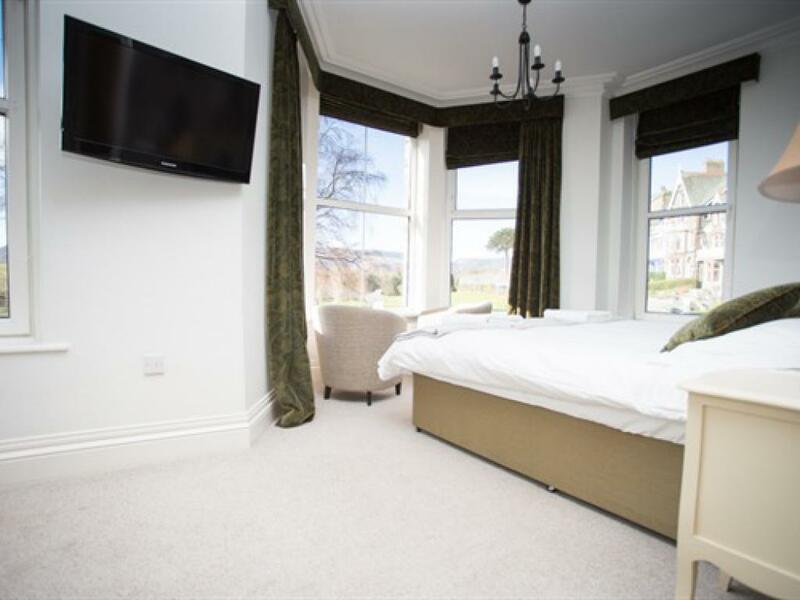 A seating area in the bay window allows comfortable lounging to take in the vista or to watch the world pass by and enjoy with a glass of wine. 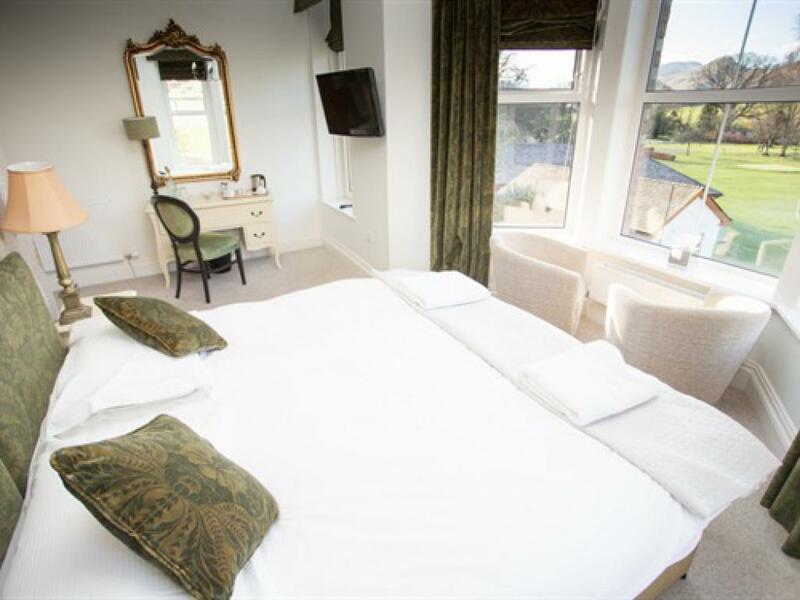 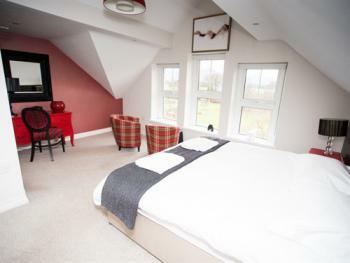 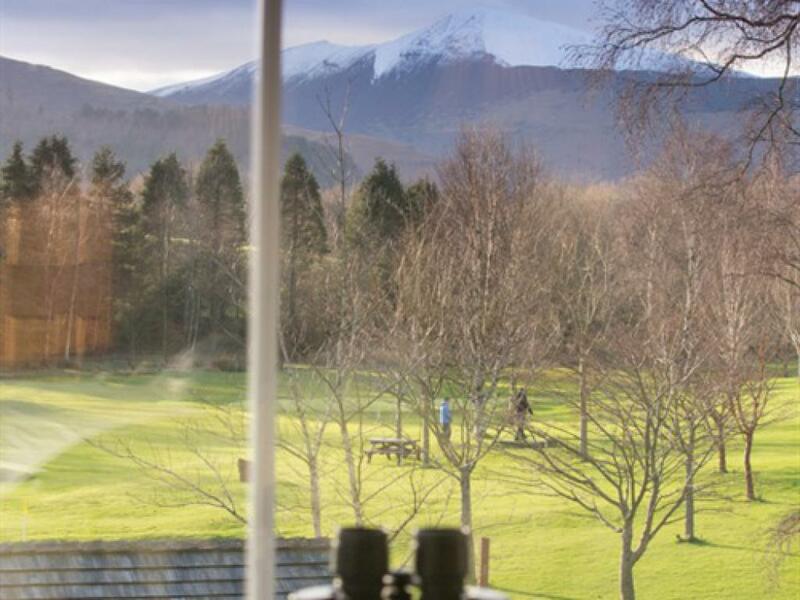 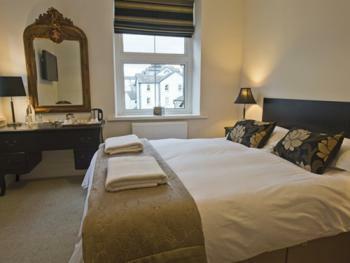 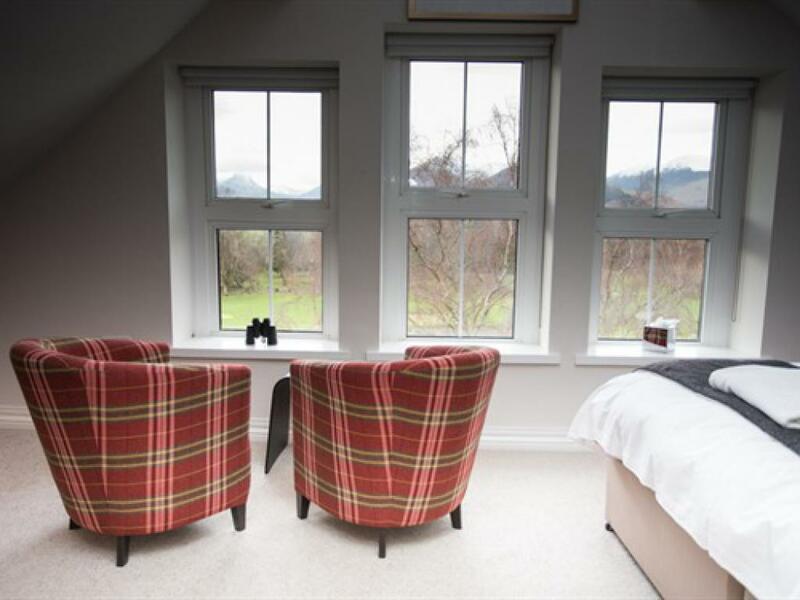 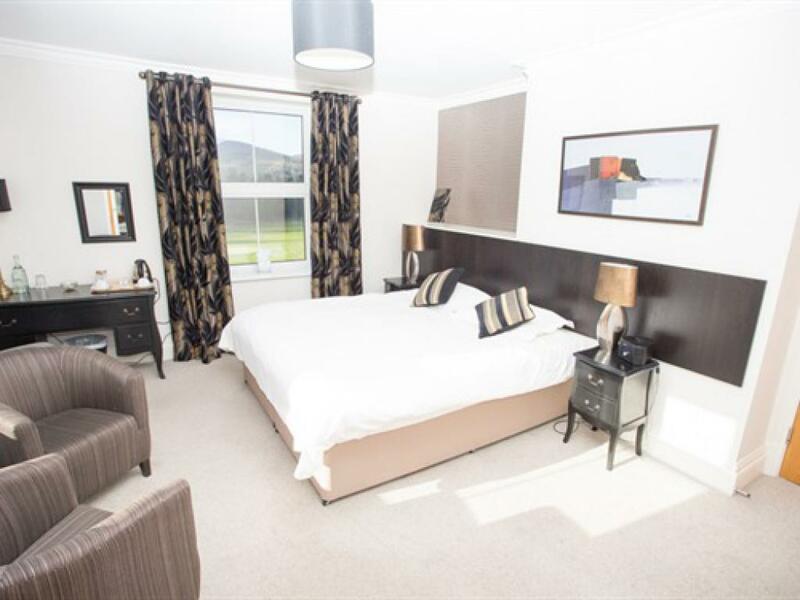 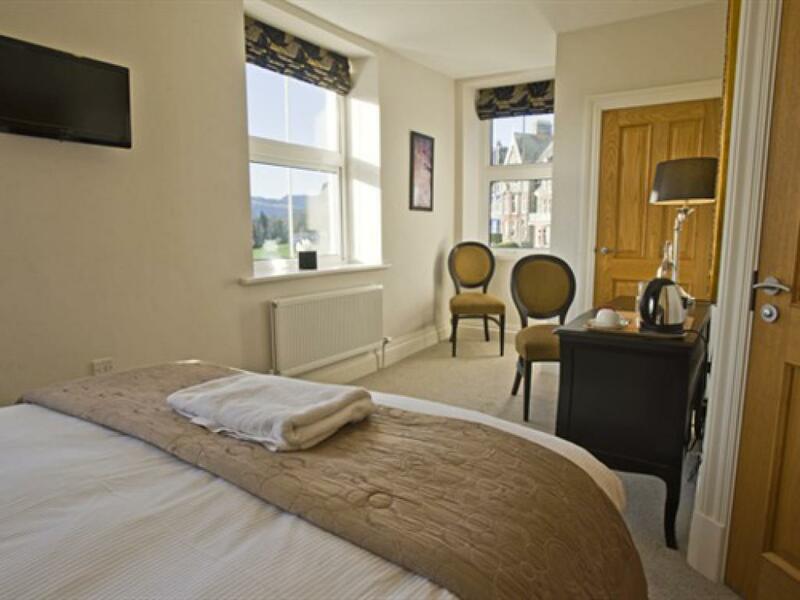 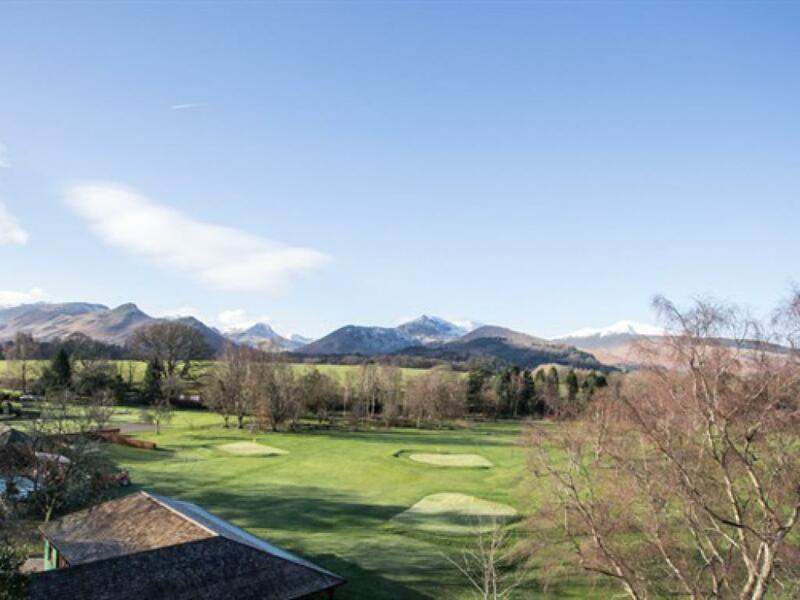 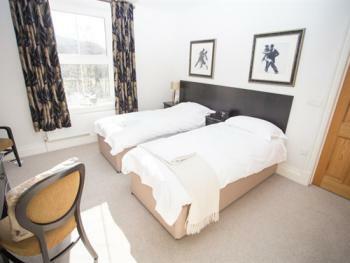 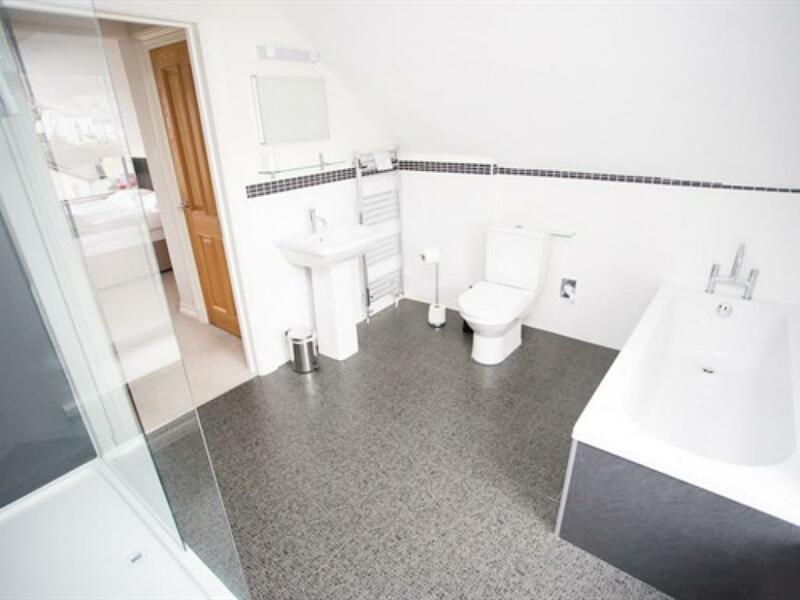 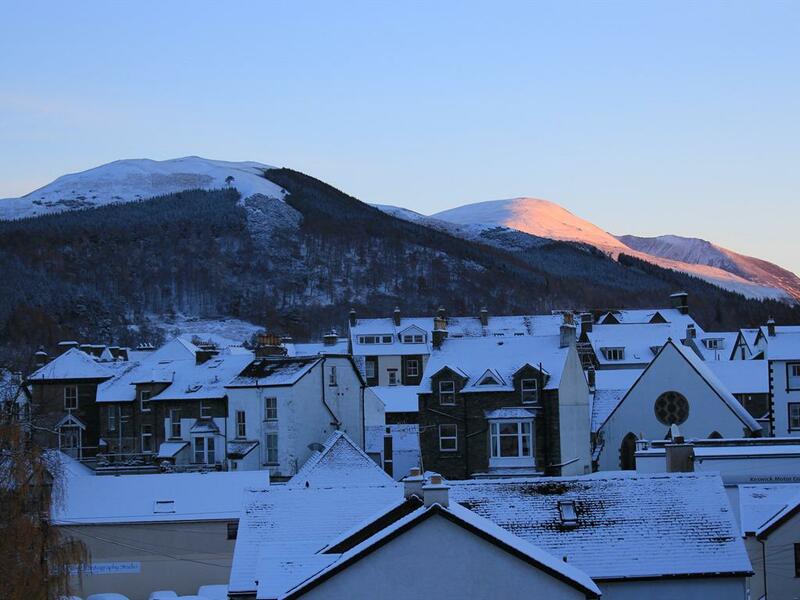 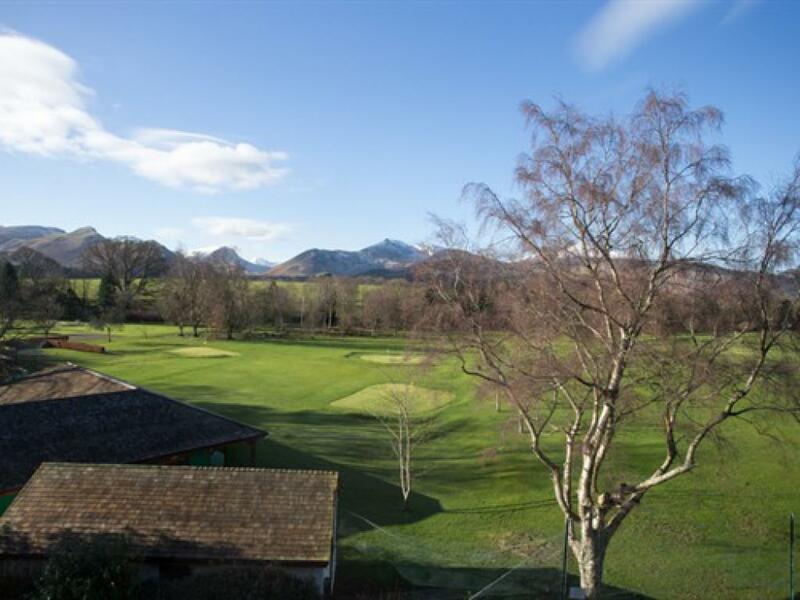 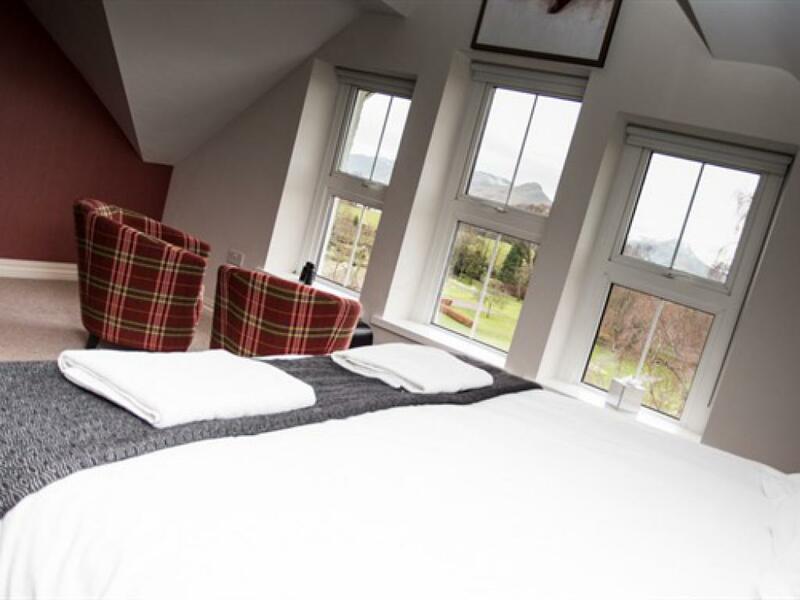 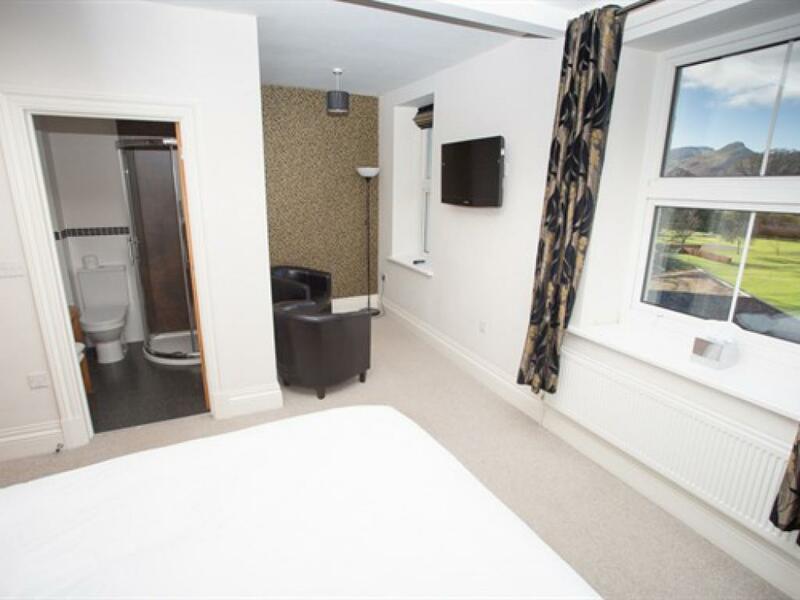 Room 6 is situated at the rear of the building and is a 2nd floor single room with views across the town and on to Skiddaw and the surrounding fells. 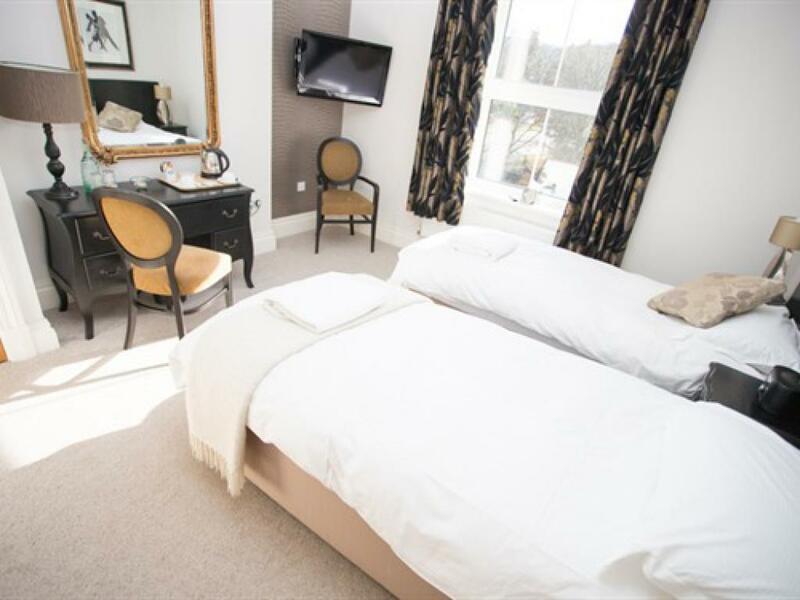 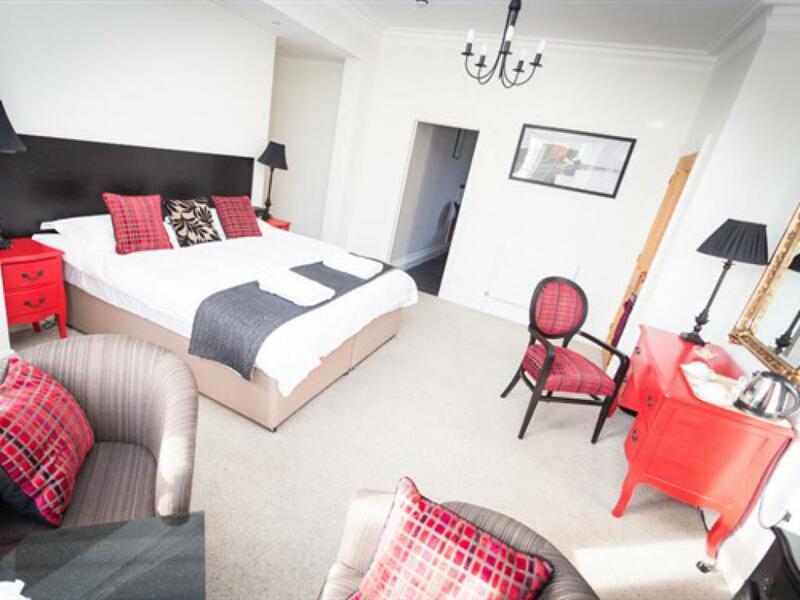 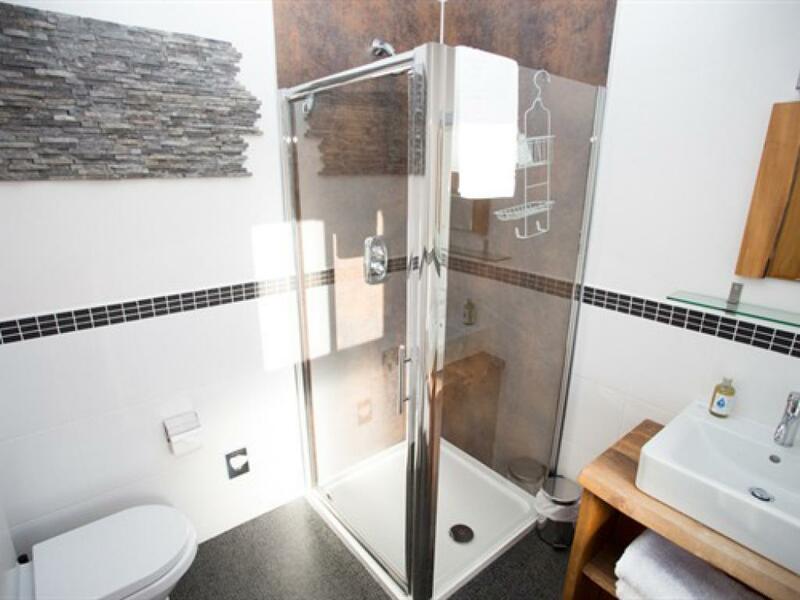 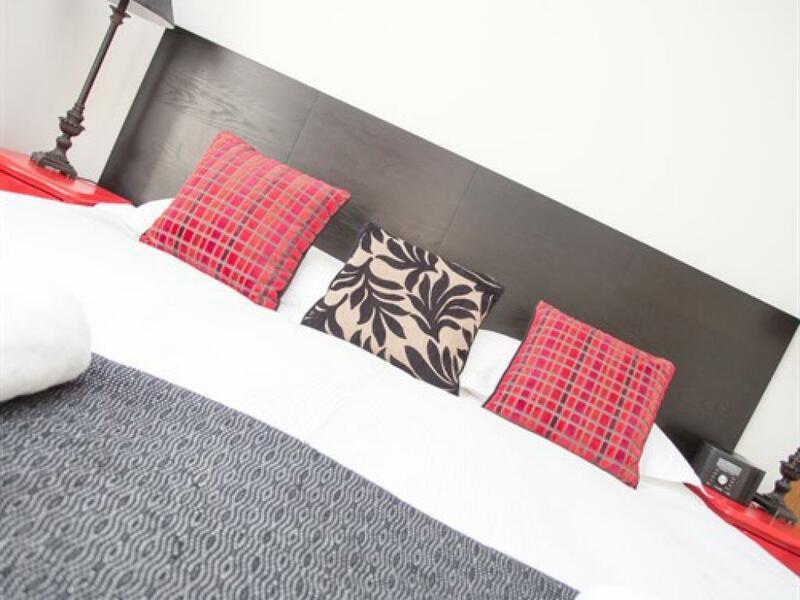 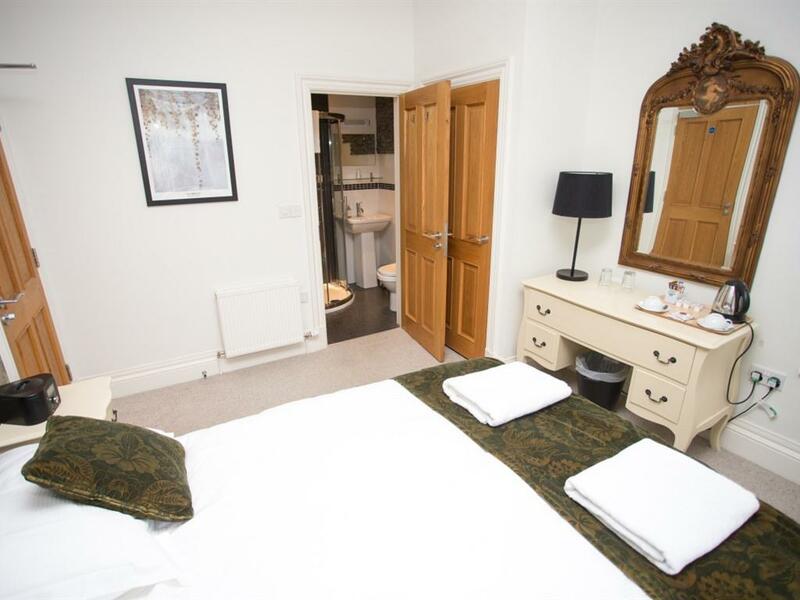 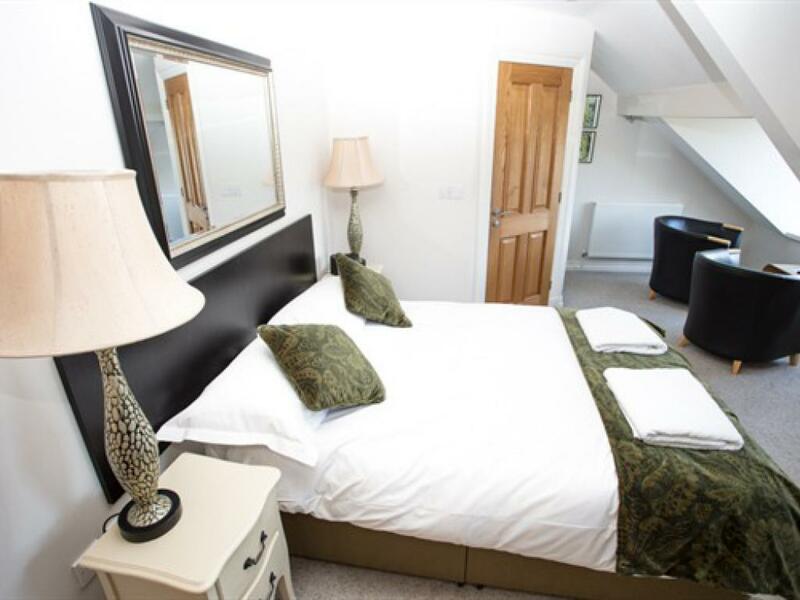 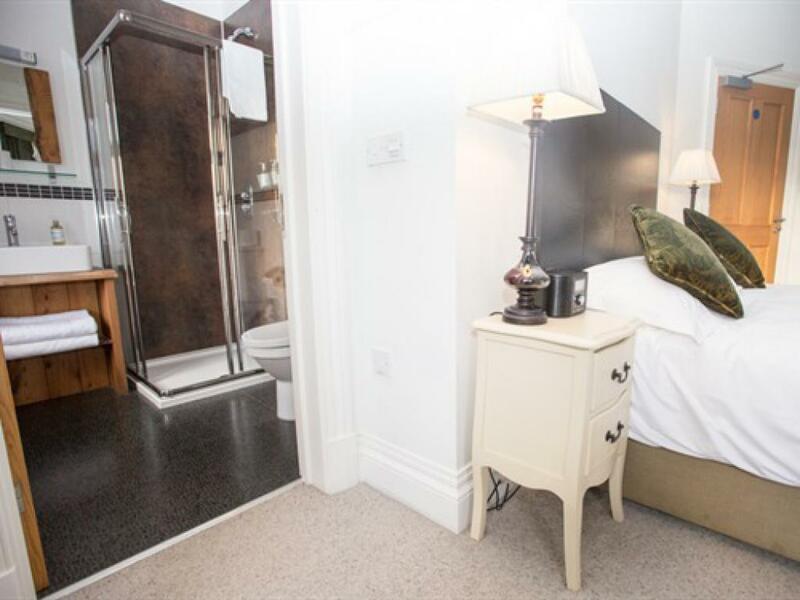 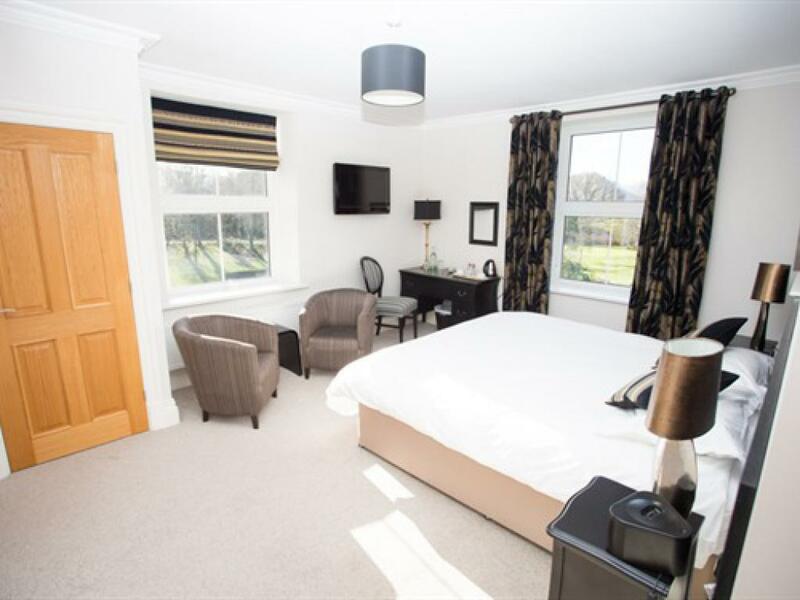 Furnished to a high standard with comfortable 5-star pocket sprung single bed with feather duvets and pillows, a built-in wardrobe, coffee/tea making facilities, 22" flat-screen TV and stylish contemporary designed en suite with shower.